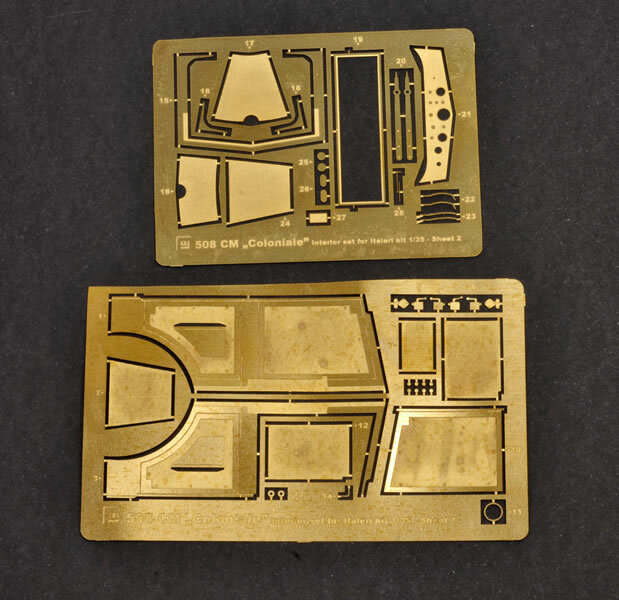 Advantages: High level of detail; accurate; excellent vasting; noticeable improvement over Italeri kit parts. The Fiat 508 Coloniale was the military offshoot of the very popular Balilla sedan, which was first produced in 1932. When Italeri first produced this kit a few years back, I quickly went out and purchased it. The kit has good bones but suffered from a few minor accuracy issues mainly centred on the windscreen height and a few other wheel nit-picks. S.B.S. Model has seen fit to produce not one, but three upgrades for this kit. The first (35020) addresses the windscreen height issue, with a resin firewall that replaces the kit part and a photo-etched windscreen frame. In addition to this, a set of resin replacement seats are masterfully done with subtle and beautifully rendered creases on the seat fabric itself. 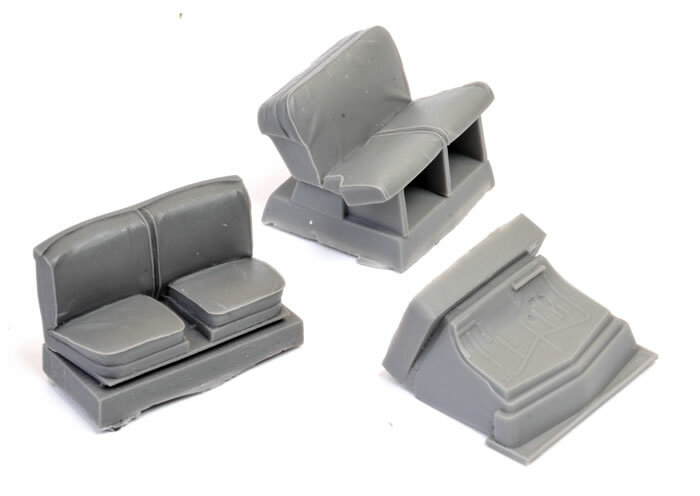 The rest of this set includes photo-etched replacements for the dashboard with photo negative instruments, complete interior side wall details, replacement floor coverings and various other fittings. 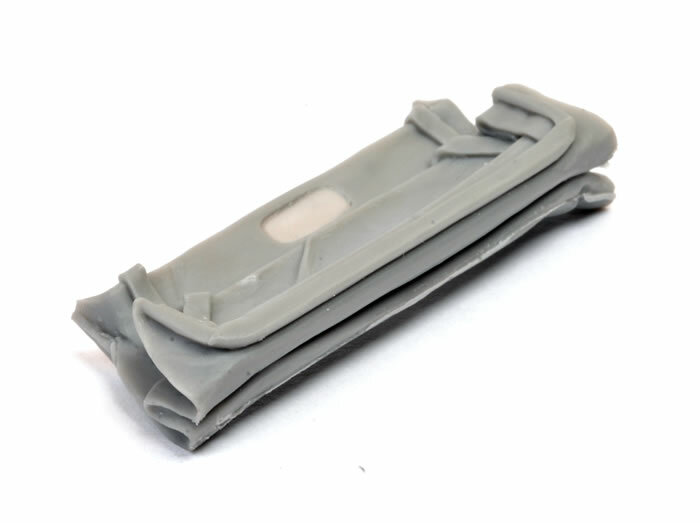 The photo etch is handled a very high standard with very small “cut off “runners in evidence. The second update set (35021) tackles the exterior of the vehicle. The Italeri kit really, only gives you one option for the roof. This was seen at the time of release as a bit of a disadvantage as it was after all a soft-top vehicle. Well, S.B.S Model has come to the rescue providing one of the best folded fabric roofs that I have ever seen in resin. Not only are the folds in the fabric accurate and subtle, they include the inner support belts and the opening for the rear window. Each of the support bars are offered as lovely one piece affairs in photo etch. 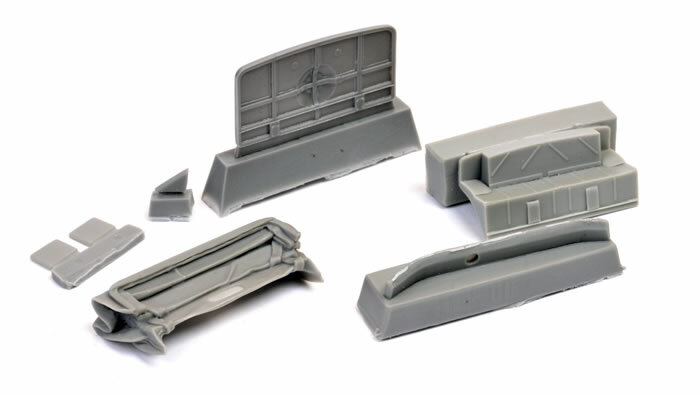 The set then goes on to include a one-piece resin boot lid with outer and inner detail together with the internal structure of the boot itself. Moving to the side of the vehicle, the two (one for each side) small stowage boxes near the front cab doors are included in photo etch with resin cushions that sit on the boxes themselves. Various other fittings like the cab sidesteps, number plate and locks are also included on the photo-etched fret. The third update (35034) concerns itself with the wheels. The Italeri kit has two piece plastic wheels and while acceptable for an out of the box build, they suffer from very poor tread detail and the hubcap is a far too large for the Coloniale version. 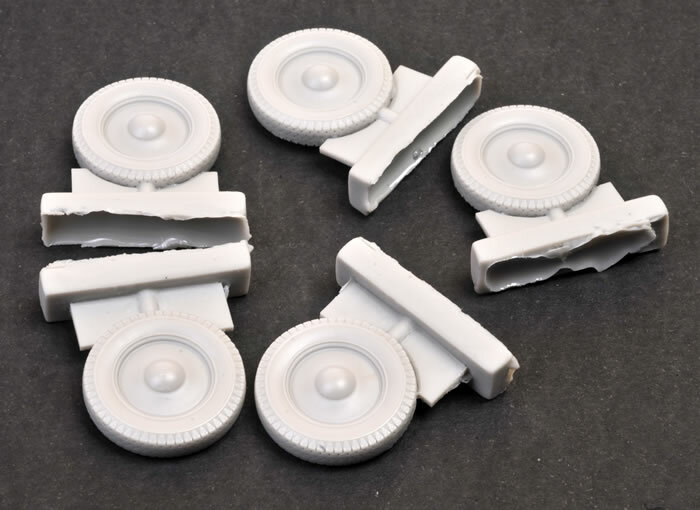 The resin replacements offered by S.B.S model are light years ahead in terms of detail than their plastic cousins. The tread detail is outstanding and the hubcap is the right size and shape. The inner rim, which is almost unseen, even has the attachment nuts on the outer hug ring! In my opinion, good aftermarket updates make you want to build the model they are intended for. With these updates, they not only want me to build the Italeri kit, but they want me to build it now! Even if you’re only remotely interested in this vehicle, you can’t go past these updates, they’re just that good.